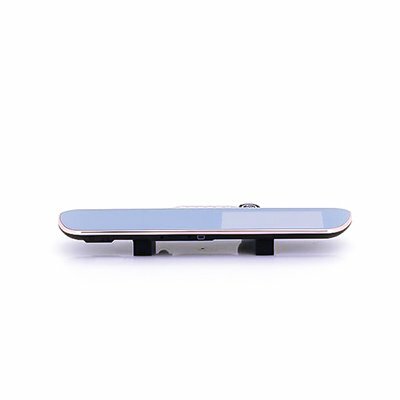 Successfully Added Rearview Mirror Android Mirror 'Gold Vision' - 5 Inch Capacitive Toushscreen, GPS Navigation, Reversing Camera to your Shopping Cart. The ‘Gold Vision’ Rearview Mirror and Dash Cam is the easy way to stress free driving as it offers protection from false claims, GPS navigation and an Android OS that can be interact with via the 5 Inch touch screen. The ‘Gold-Vision’ rearview mirror and dash cam lets you bring Android into your car. With a 5 inch touch screen using the interactive rearview mirror couldn’t be easier. 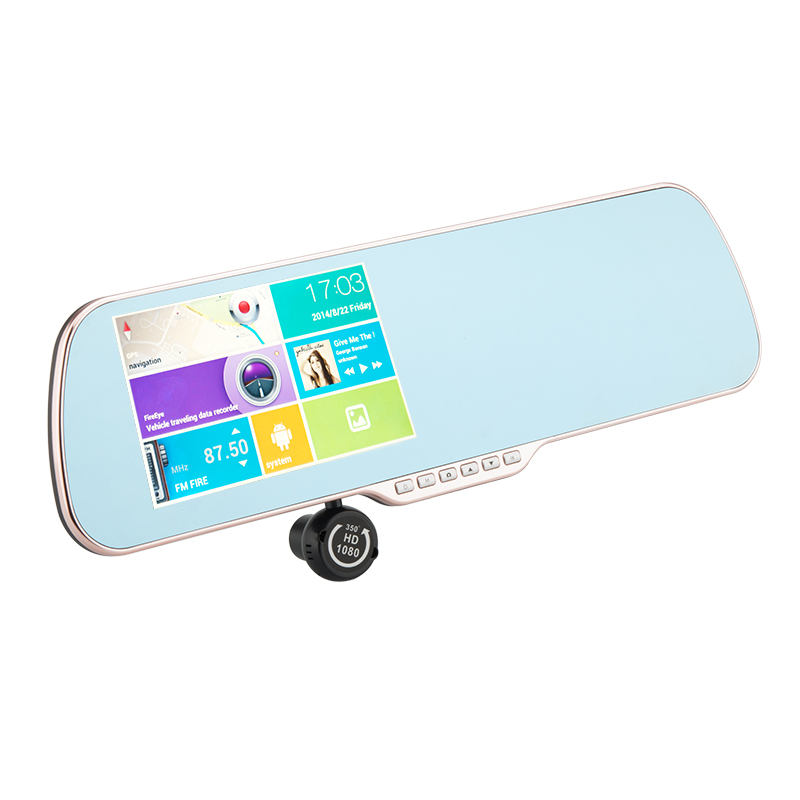 Now you can have all the benefits of Android and GPS by just clipping this useful gadget over your rearview mirror. With a built in HD camera that can be rotated through 350 degrees you can always get a clear shot of the road ahead or of your passengers if you wish. This is a great way to protect yourself against false claims and helps resolve any disputes quick and effortlessly. There is a rear parking camera that when connected will allow you to reverse with confidence and help you in and out of those tight parking spots. Navigating the roads can be hard work especially in a big city and it’s easy to get lost or miss a turning that can make even the most pleasant journeys into a stressful experience. With the GPS on this device you will never get lost again, it’s easy to find your current location, plan out a route then sit back and enjoy the ride as this GPS will take the stress out of driving so you can cut a course through even the busiest cities with ease. This product is in stock now, we guarantee next working day shipping and offer a 12 months warranty on all our products. Brought to you by the leader in electronic devices and wholesale DRVs and Car gadgets, Chinavasion.